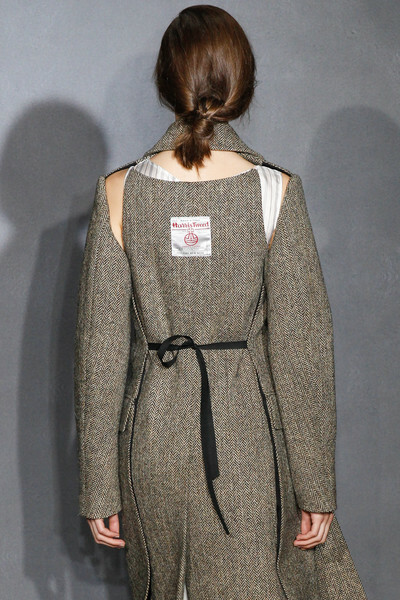 A sober collection which had British tweeds as a starting point welcomed us at Maison Martin Margiela. 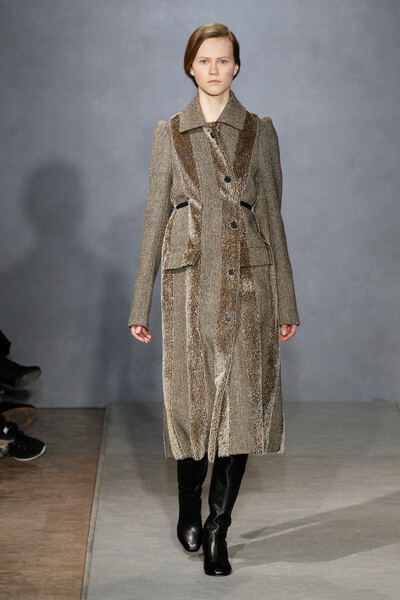 First off was a long grey tweed coat, followed by a camel colored sleeveless ensemble. 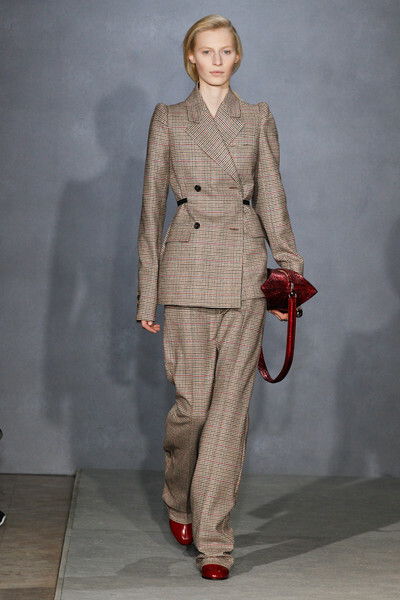 There was a black/brownish tweed suit with strong shoulders and a navy shaded pleated tweed dress worn over a suit in the same color. 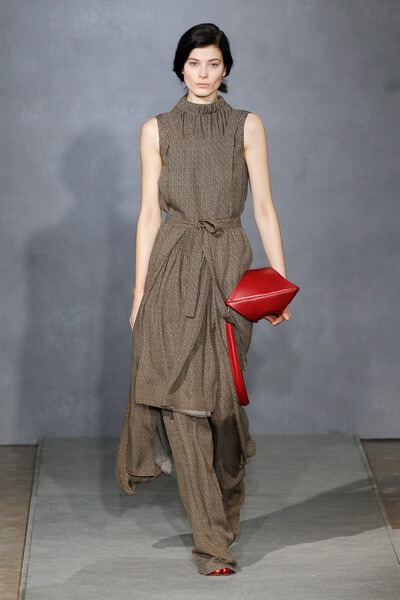 Midi skirts, overalls and perfectly pleated pants and what looked like a fifties inspired tailored dress were sent out. 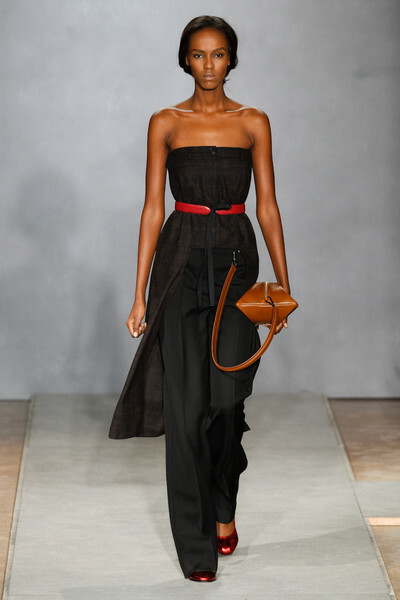 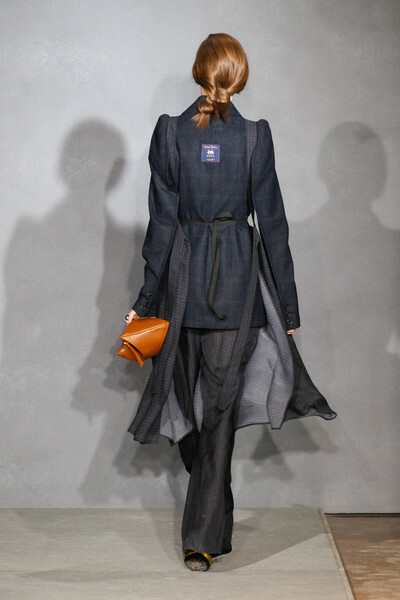 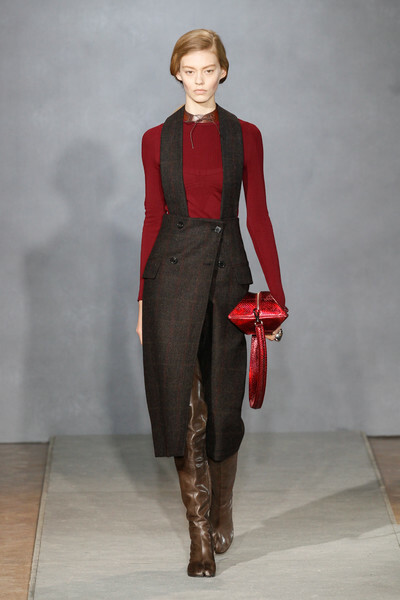 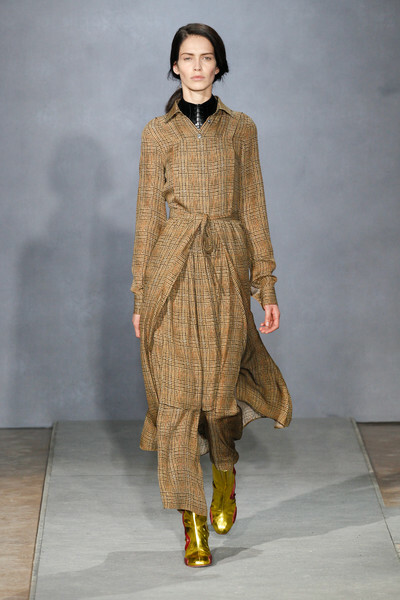 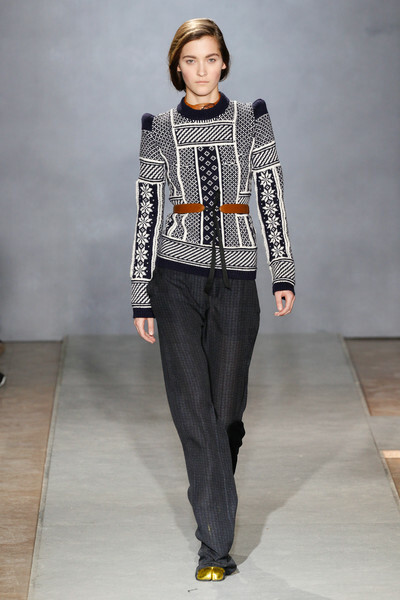 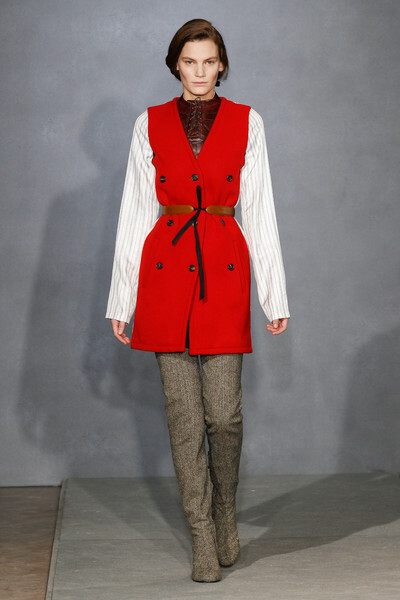 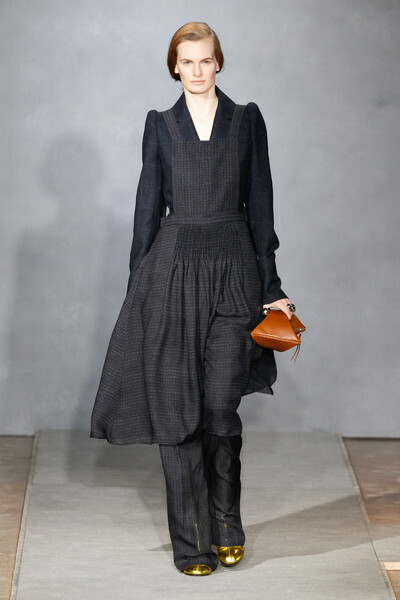 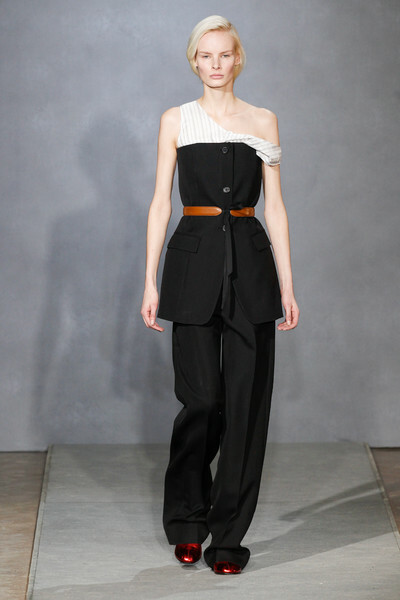 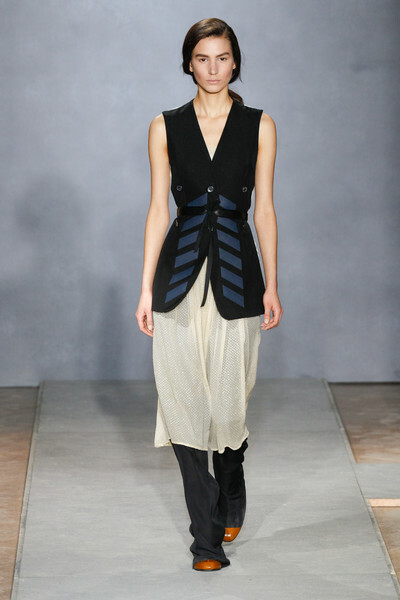 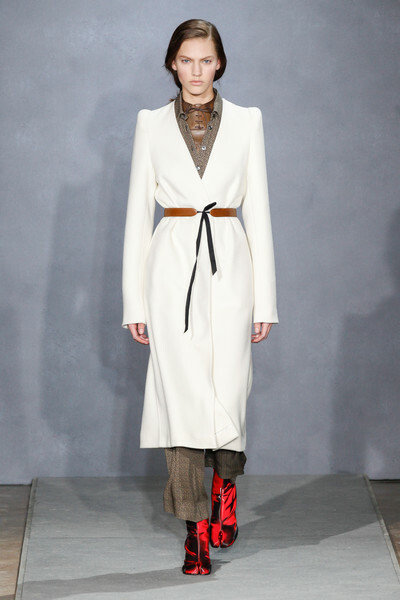 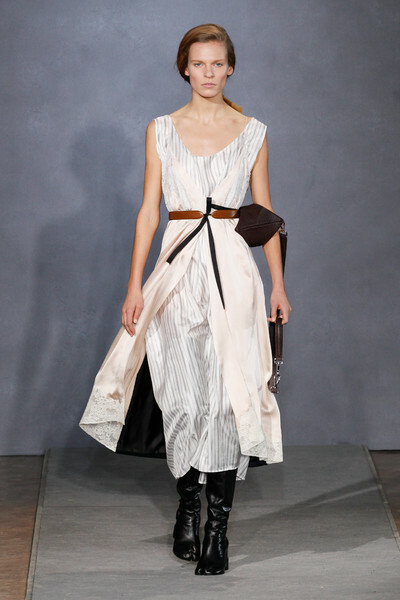 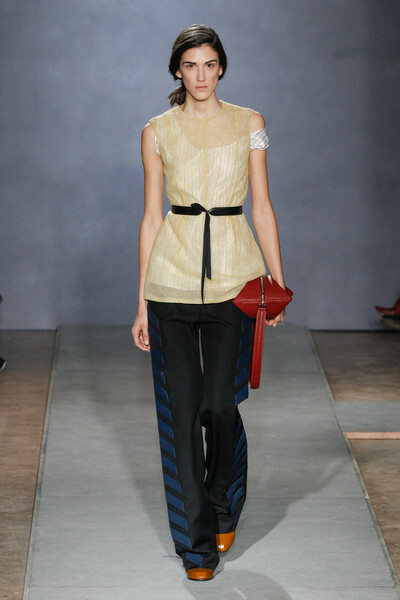 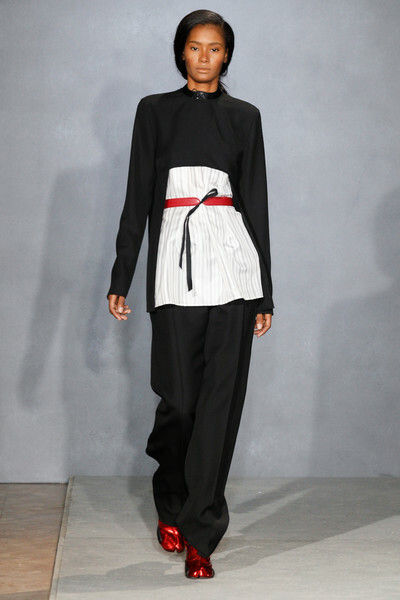 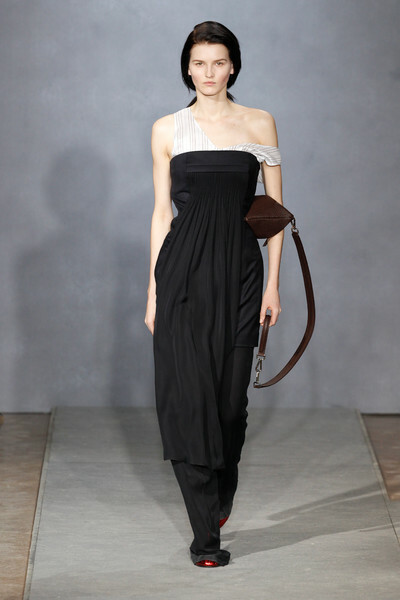 The focus was on the models’ waists, which was accentuated by small tied leather belts (in camel, red and black). 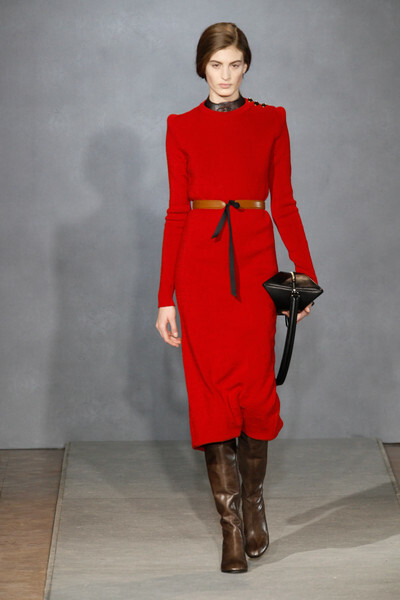 Oh and they sported leather boots, bags and collars too. 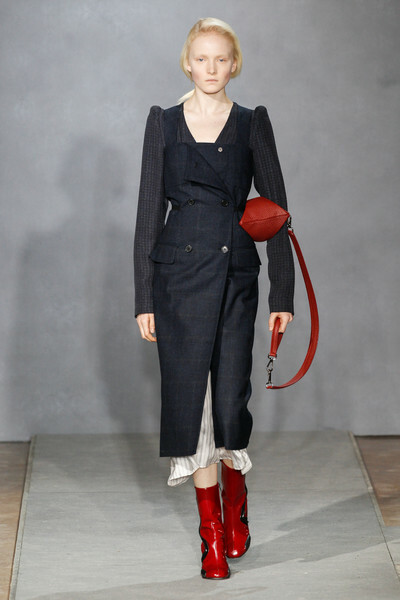 On perfect pleated pants models sported feminine lace tops, thick Nordic sweaters (again with strong shoulders) and strapless suit jackets. 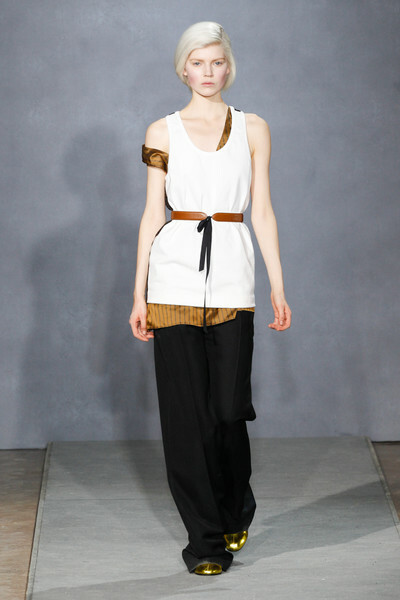 Masculine inspired, but a perfectly feminine collection all together.